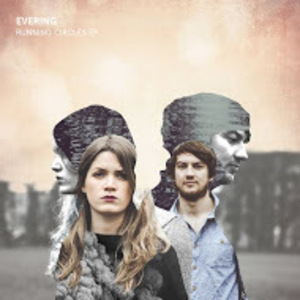 EVERING, an indie pop folk band that will no doubt take you with a big surprise with there talents and music. EVERING which consists of Dawn and Chris bring harmonies and tones that truly do make you take notice and appreciate this magical sound they create. Chris brings strong dynamic vocals that can get noticed on any musical track and also adding to his talents is his ability to conjure up some incredible acoustic guitar riffs. Dawn brings an incredible, yet magical talent on the piano like her hands have been sprinkled with some magical dust and also possesses some unique emotional vocals. Dawn and Chris both have talents of songwriting and Running circles "the video" gives you the prime examples of what i have stated. The track Running circles is a deep meaningful song that with the vocals and instruments working so well together you get drawn in and carried away taking you to a place of where this song has touched you inside. EVERING has the world at there feet with there incredible talents ticking every box by there songwriting, vocals, instrumental skills and more. So if you appreciate talented musicians with endless talents that bring unique real music to your ears. Be sure to checkout EVERING!